I spied this pattern on The Fold Line blog and fell in love straight away, it looks cosy and quirky and I need both of those things in my life. 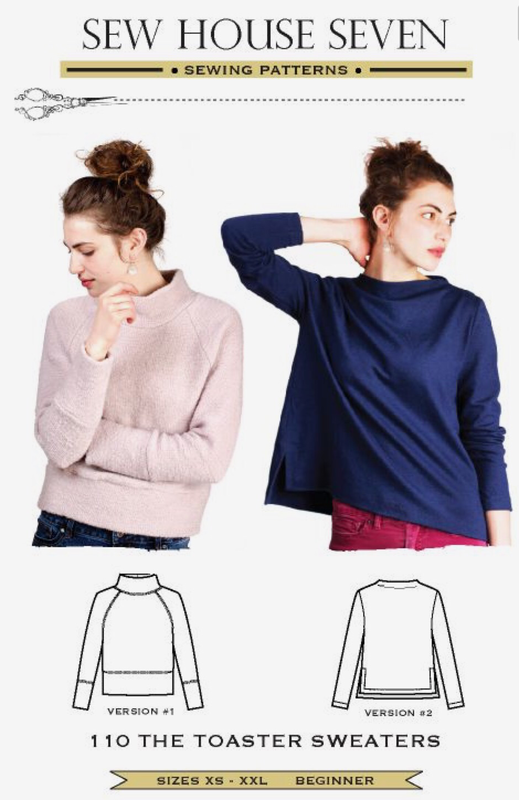 Let me introduce you to the Toaster Sweater pattern from Sew House Seven (not a pattern company I had ever heard of). Even though Sew House Seven are new to me I really like how they operate. You can buy Toaster as single patterns or as a bundle of the two (slightly cheaper than as individuals). I just needed both of them! They come as PDFs which is great as I can have them printed and stuck together like yesterday! I made the version 1 first, just to check out their sizing and how good the instructions were and stuff. 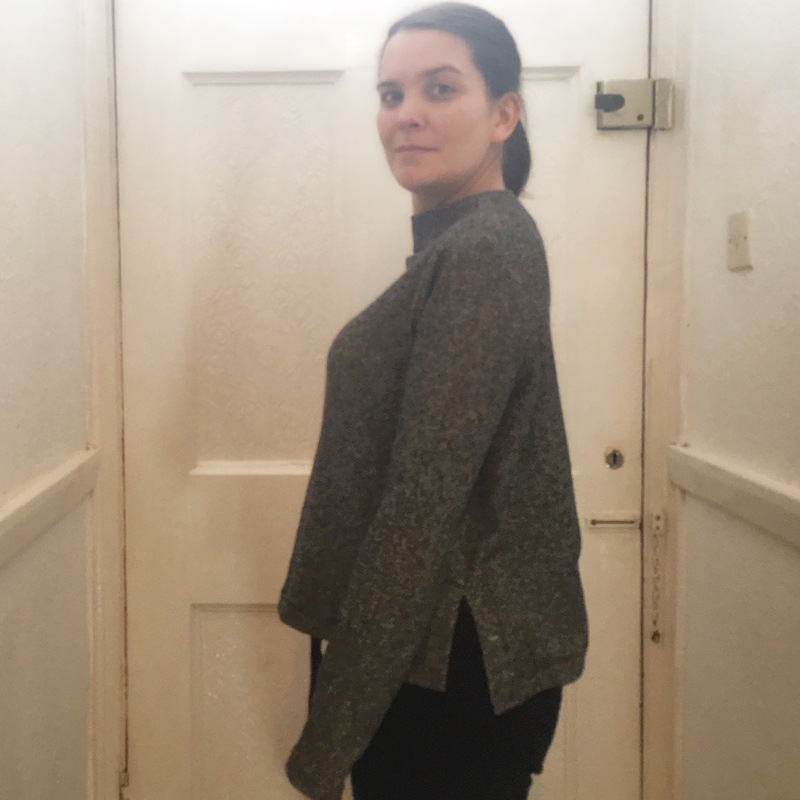 I had some micro-striped grey ponte left over from a dress that I never actually got round to blogging. My conclusion… awesome!! 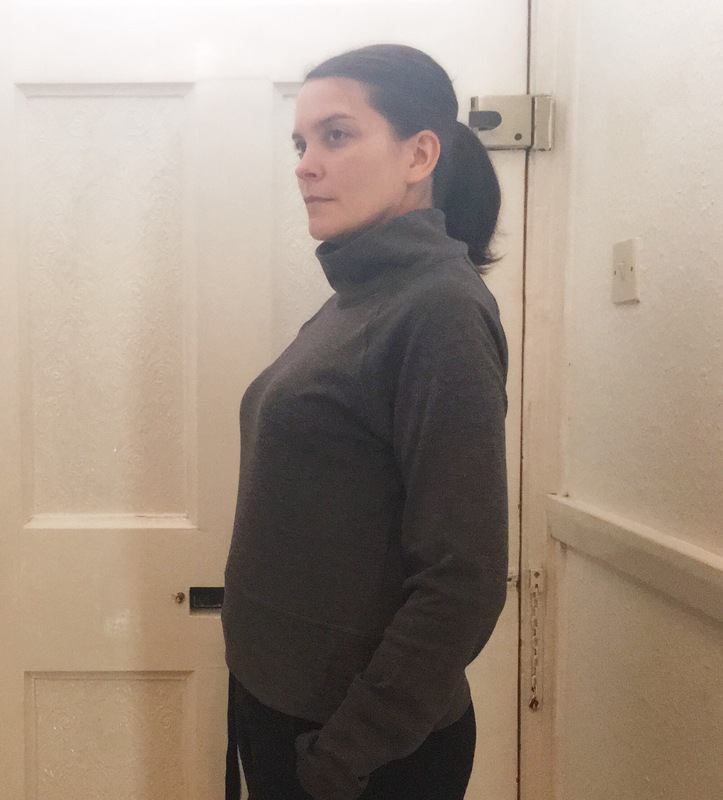 It does need some fitting tweaks, it’s loose around the waist, big under the arms… ok so I could probably go down a size. I also think I would like to lower the collar a little. 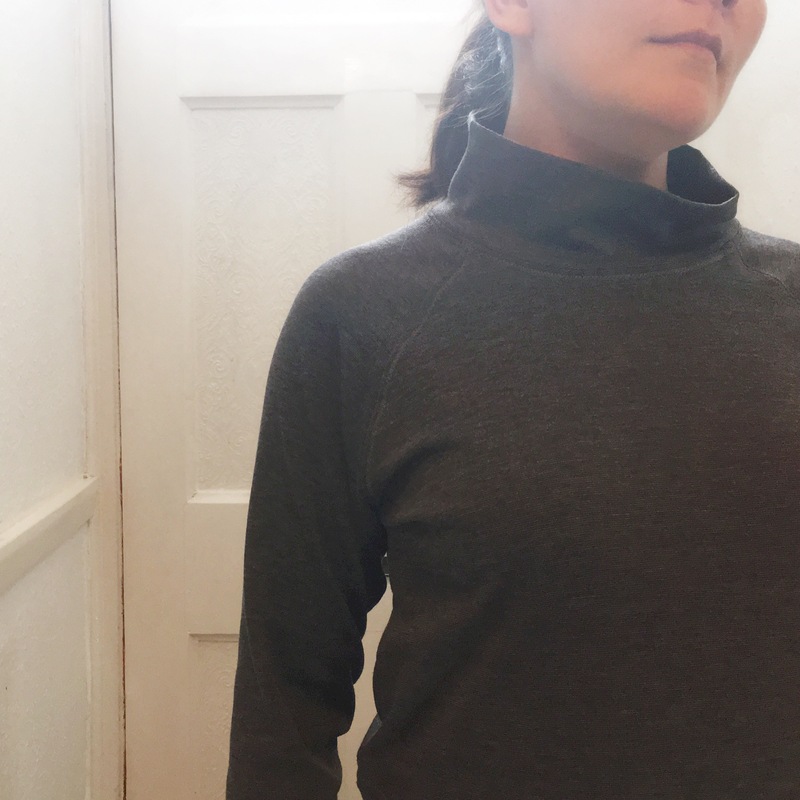 I really wasn’t sure about that collar and whether it was worth taking it off again and lowering it on this version, but after wearing it around the house for the day I had a revelation…. 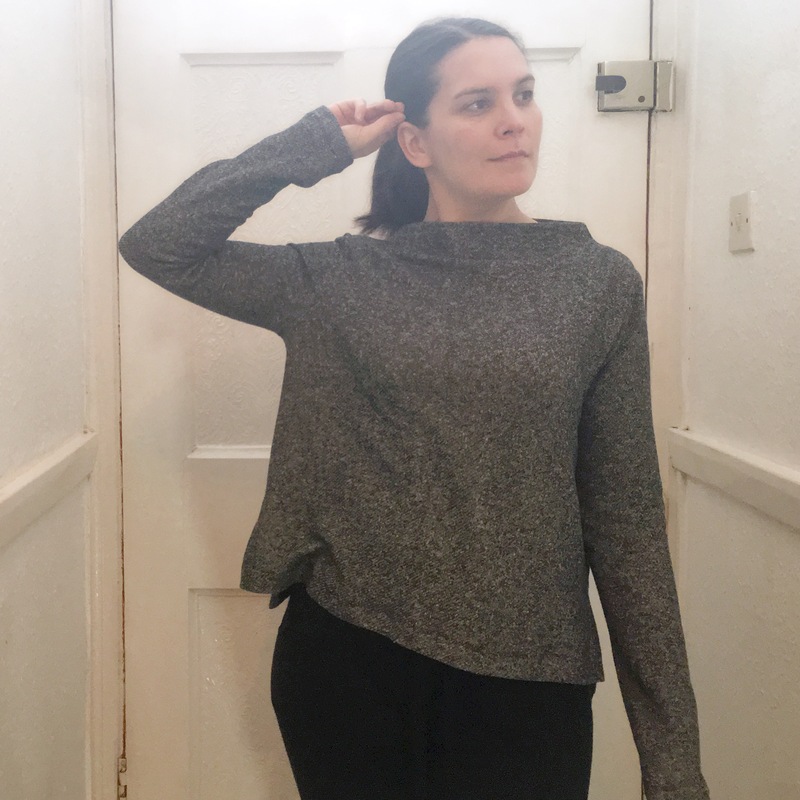 this jumper is PERFECT lounge wear!! 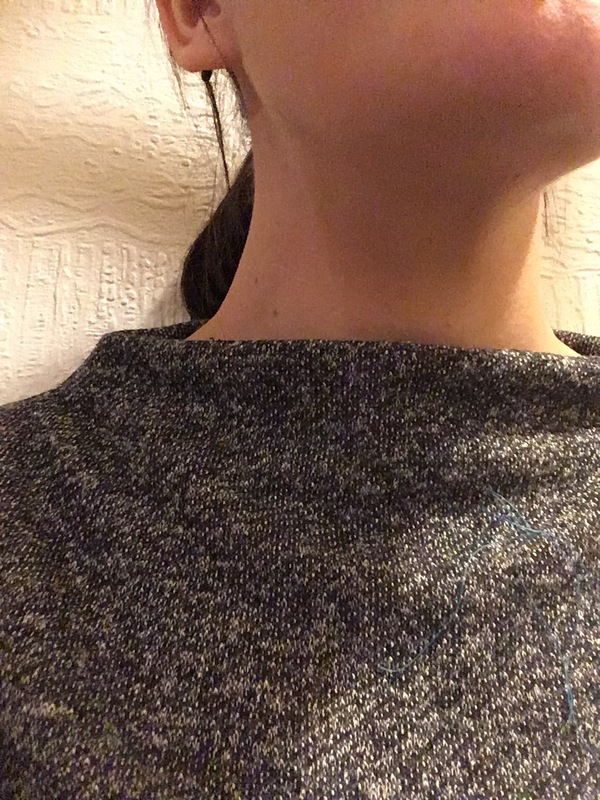 Plus the collar often flops like this, but it does feel like I’ve got a scarf on so I love it!! The instructions are great, straightforward and have good illustrations for any tricky bits… of course that didn’t stop me from sewing the sleeve edge to the body edge rather than sleeve to sleeve… I got a bit angry with myself when I did that and needed to step away from the sewing machine for a little while. 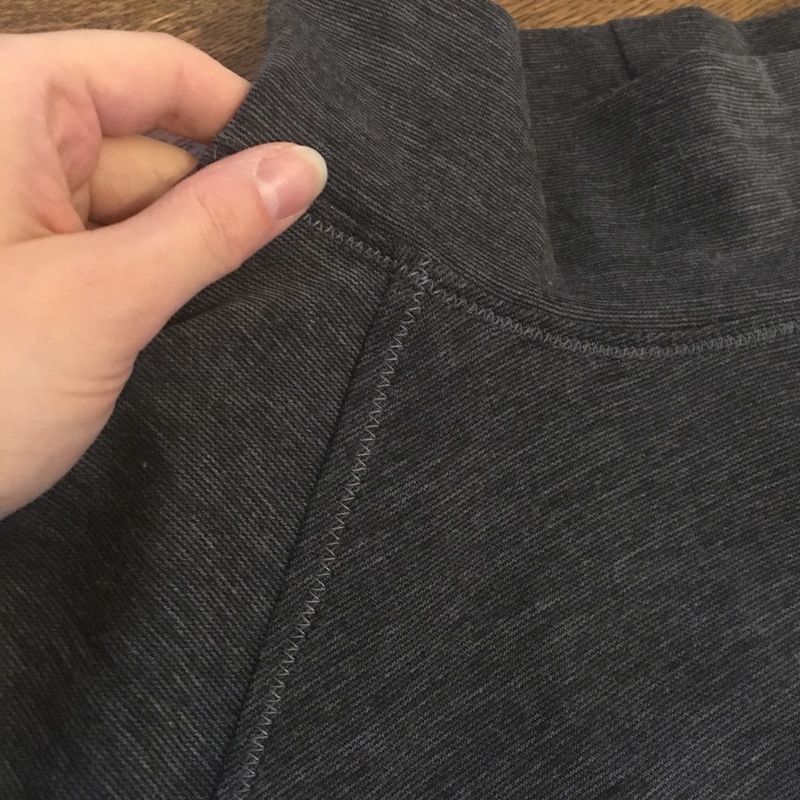 One thing I completely ignored in the instructions was their use of the double needle to sew over the seams, I went with a more casual zig zag on just one side of the seam. I don’t usually like using zig zag like that but it just fits on this jumper. So on a cosy Saturday of lying around the house you will probably find me wearing this jumper. Of course I dove straight in to making version 2. It was this version that caught my eye, I just love the draped body, and I needed that neckline!! 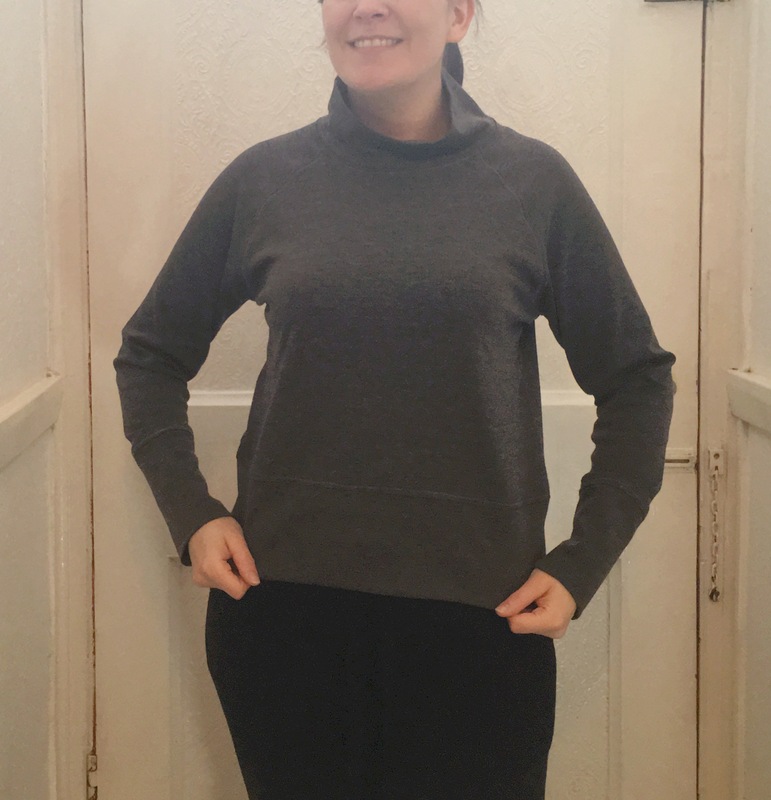 I thought it was going to be really complicated to sew that little raised neckline, but the pattern and instructions are actually super easy… I definitely engaged smug mode when I had finished it. 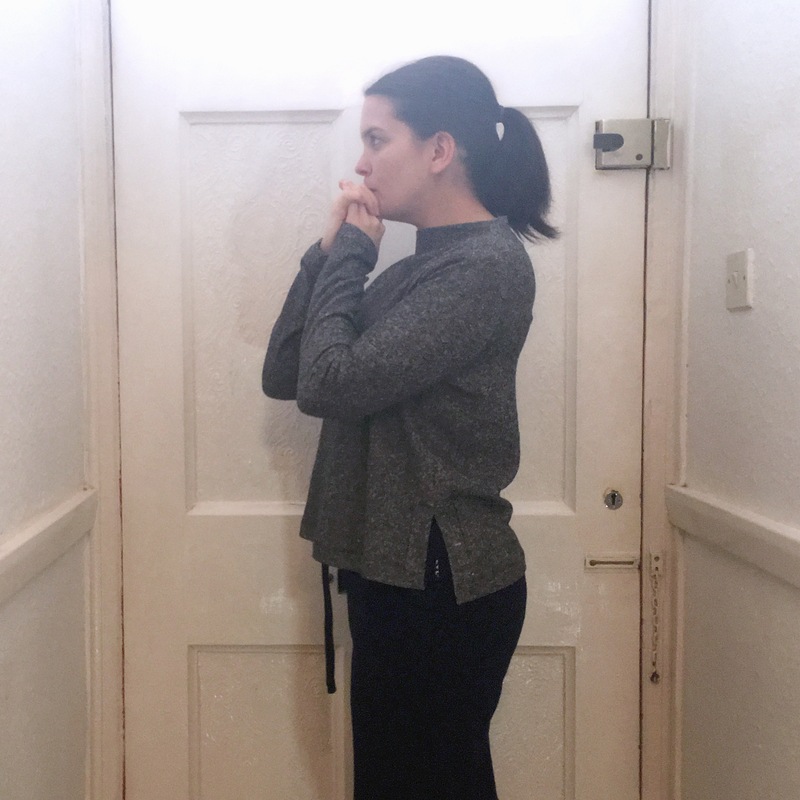 Not sure whether I’m stretching… or praying for the rain to stop? 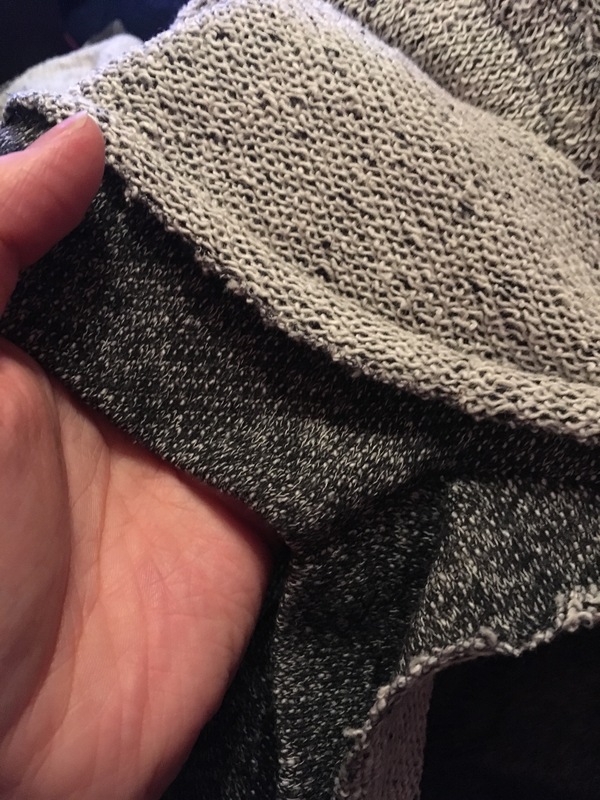 This one also sports a split high/low hem which is mitred… again, some super easy instructions made it really simple. I think it gives the top a really polished finish. Again I could probably stand to go down a size, it’s designed to be loose, but this is VERY loose. It works fine in this fabric but could probably look bulky in something heavier. 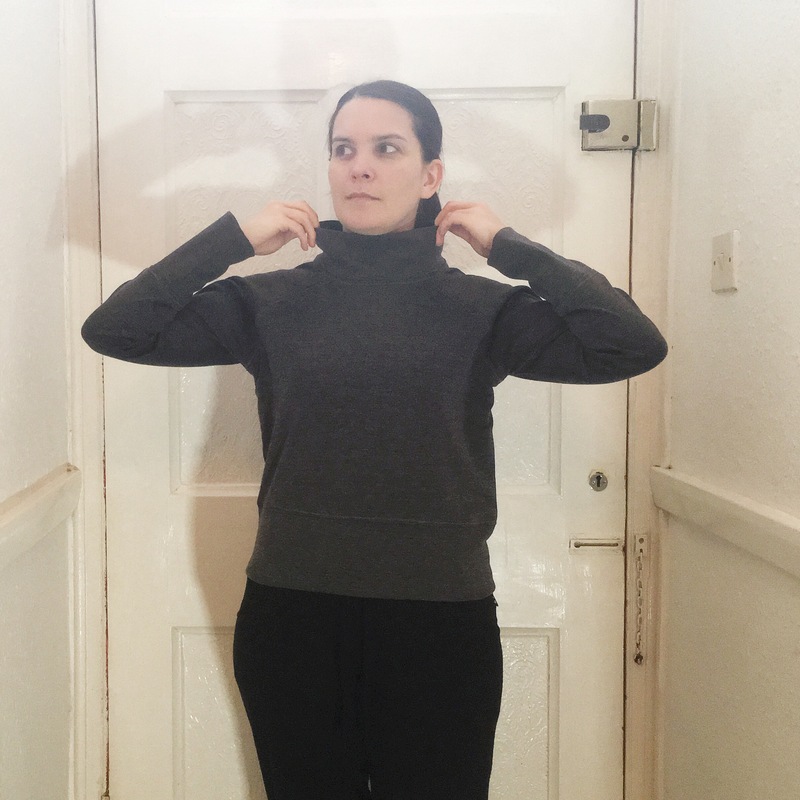 I love this jumper, it goes well dressed up with some skinny jeans and boots just as well as casual with some jogging bottoms around the house… confession… I’m wearing #2 right now and may never take it off. 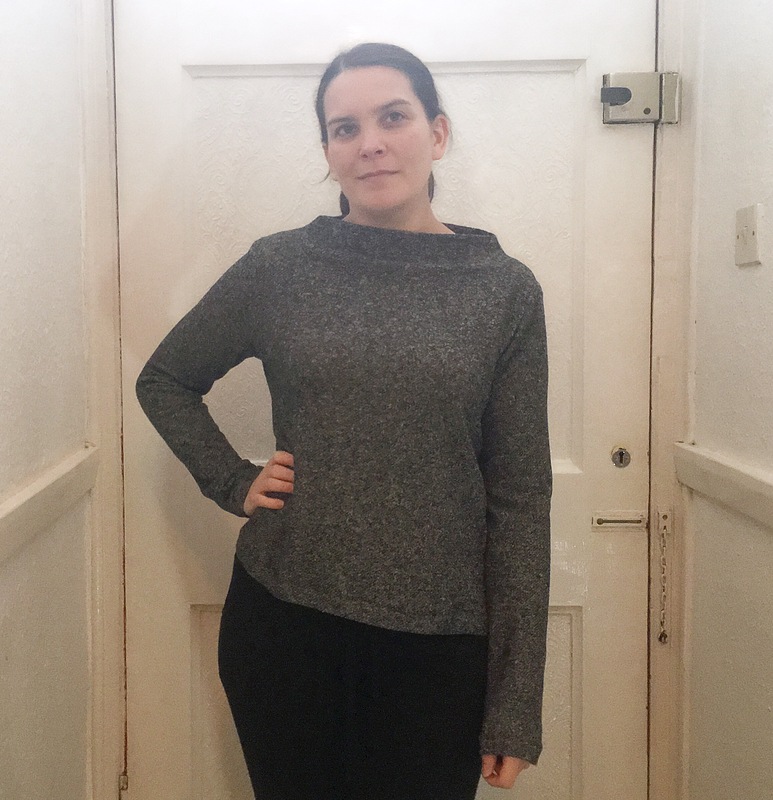 These jumpers are exactly what I needed this winter.